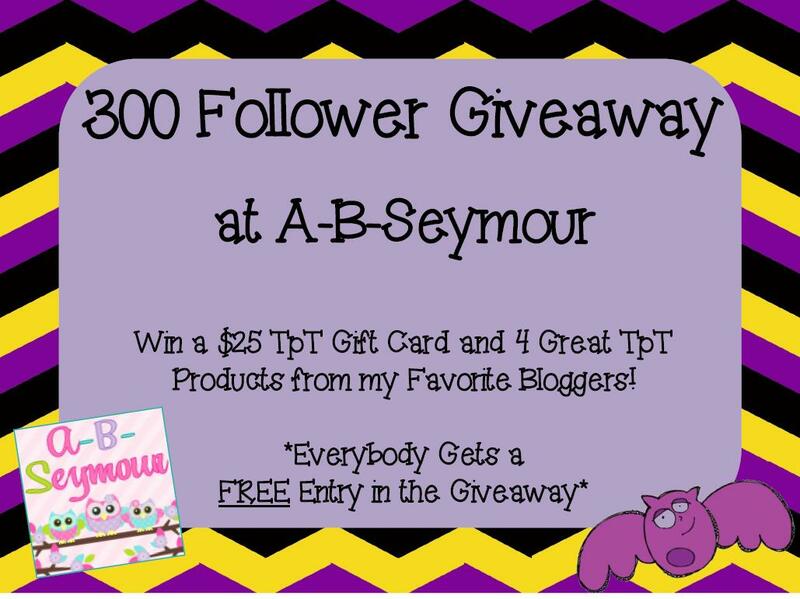 A - B - Seymour: 300 Follower Giveaway!! Yay!! I have over 300 followers...that is so exciting to me! I can't believe there are over 300 people out there that follow my classroom happenings and Teachers Pay Teachers creations. I'm going to share that happiness with you all too. I've contacted some of my favorite bloggers to help me out. They all agreed to donate some goodies to my wonderful followers and I'm giving away a $25 TpT gift card!! With so many changes in the teaching world and additional duties it never feels like I have enough time in the day to get everything done I need to. I'm not sure how those of you who have your own kiddos do it!! My hubby feels neglected and it's just the two of us. To help you out I'm going to give away this TpT gift card so you can go purchase some goodies that you need and spend some extra time with your family!! 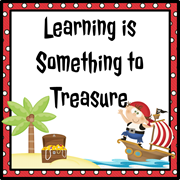 Lisa at Learning is Something to Treasure is donating *any* item from her TpT store!! Jen at Hello Mrs. Sykes is also donating *any* item from her TpT store!! 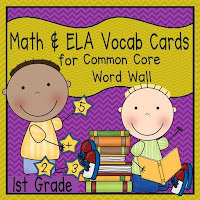 Olivia at Liv to Teach is donating her Math and ELA Vocabulary Cards. 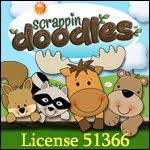 She has them for Kindergarten, First, or Second so you can choose which grade level you need. 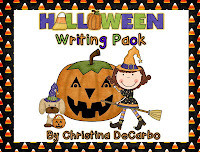 Christina at Sugar and Spice is donating her adorable Halloween Writing Pack. And I'm giving away a $25 Teachers Pay Teachers Gift Certificate!! I'm using Rafflecopter for the giveaway. Love Rafflecopter!! Good luck and make sure you come back and visit tomorrow for Fantabulous Friday Freebies to see my ADORABLE bat freebies and activities my kiddos did this week!! If I had a few extra minutes in the day or some free time. I would READ for enjoyment.. some mindless book! and oh yeah do some extra yoga! Oh to have extra time in my day! I would spend it having "tea parties" with my little girl and playing soccer with my big boy! Congrats on 300! I am super close to 300 and am planning a giveaway soon! Congrats on 300 followers!! If I had a few extra hours, I would sleep!!!! If I had extra time, I would use it to create some art. I have an empty space in my living room above the couch that is just screaming for some artwork. Congrats on 300 followers! I'd sleep if I had a few extra hours! Extra time...that's a good one! I would love to spend more time with my husband. Extra time would be used for relaxation....lol, what's that?!? I would definitely craft more with my extra time :) Congrats on 300 followers! Thank you for the giveaway! I'd like to use it for something fun, but honestly, I think I'd use it for grading papers. Lately I've been sleeping through all of my grading time, and I need to catch up! What a GREAT give-away! This could really keep any teacher going for a while! If I had a few extra hours every day I would become an urban farmer. I would set up my little screened in porch with trays and grow my own vegetables. I am a vegetarian and would be certain to eat only the best quality! If I had a few extra hours I would read! I would definitely spend time reading! I make time to read a chapter per day but would love time to read more! If I had some extra hours, I would organized my box of things to sort! SLEEP! Seems like I can never get enough of it during the school year. My mind is always thinking about that next fabulous lesson to teach. extra time? You're giving that away! Hey, sign me up! I'm ready for some more of that! If I had more time, I think I'd still be right here looking at blogs and thinking about things I could make! If I had a few extra hours of extra time I would catch up on my reading. I am so behind! I would make some gourmet meals that we could actually eat! I would use the extra time to finish some of the things on my ever growing to do list (especially finishing up some of the things I've been creating). Run, nap, and snuggle the doogie. I would check out just a few more blogs! HA!